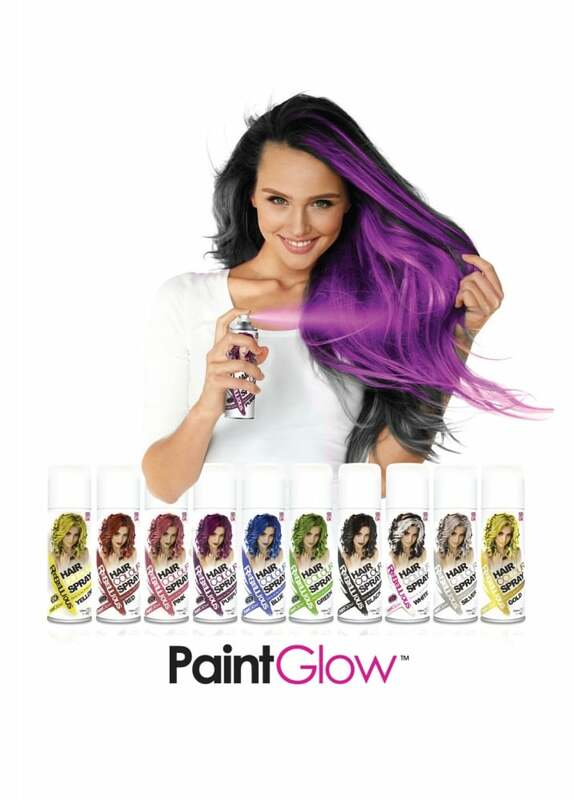 PaintGlow's Rebellious Hair Colour Sprays give you dramatic colour with no commitment! Spray in and wash out, these hair colours come in 10 unique colours. With 7 UV Reactive colours, 2 Metallics and an essential black there's endless looks to be created.